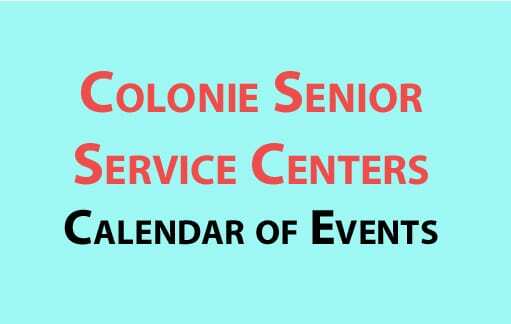 Colonie Senior Service Centers will honor those who founded the organization 35 years ago and award the 2016 Founders at the 15th annual Founders Awards Dinner on Oct. 17 at the Beltrone Living Center. To learn more about sponsorship opportunities or to attend the event, call Karmel DeStefano, development director, at 459-2857, ext. 304. MVP Healthcare is once again sponsoring Line Dance Moves at the Beltrone Living Center on Fridays from 1 to 1:45 p.m. The sessions began this September, and will run through October and November, ending on Dec. 9.This is a free class offered by CSSC and MVP. Walk-ins are welcome. The Health and Wellness Program will host a luncheon with guest speaker Sergeant Robert Barrett from the Colonie Police Department to present “Protecting Yourself in Public Places” on Tuesday, Oct. 18, at noon at the Rudy A. Ciccotti Family Recreation Center. The complimentary lunch will include turkey wraps with lettuce, tomato and mayo with a side of pasta salad and yogurt parfait for dessert. For more information or to RSVP, please call 459-2857, ext. 303. Come and join us for a special dinner, provided by PRIME Life, on Monday, Oct. 24, at the Beltrone Living Center at 5 p.m. We will be serving meatloaf with gravy, mashed potatoes, carrots and lemon pie, with entertainment by Watervliet Canaineers. If you are over the age of 55 and are looking for great volunteer opportunities, then the Retired & Senior Volunteer Program (RSVP) of the Capital Region would be great for you. With over 30 volunteer stations, we are sure to have a position for you. Right now, many of our stations are looking for the perfect volunteers. RSVP is in need of volunteers to teach Healthy Bones for Life classes (training in November). For more information on the Healthy Bones for Life program or how you can enroll as an RSVP volunteer, please contact Sue Napierski at 459.2857 ext. 308 or snapierski@colonieseniors.org. 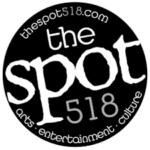 Also visit our new website at www.capitalregionrsvp.org. Leasing will begin this month. By filling out an application, you will be put on our waiting list for residency. You will be able to pick out your apartment and put down a deposit to reserve your apartment. Only those who have applied will have a chance to live at King Theil Senior Community in the spring of 2017. If you are interested in learning more or applying to the King Thiel Senior Community, contact Jim Quinn at 429-6292 or visit us at www.KingThielSeniorCommunity.org and download an application. Call 459-2857, ext. 303 to RSVP for any of the above. *Senior Dining, an Albany County Congregate Meal Program, is funded in part by the Albany County Dept. for Aging, the NYS Office for Aging, US Administration on Aging, the Town of Colonie and participant contributions.